(February 17, 2015)- Cape Coral Police arrested two would-be burglars following a suspicious person call late Sunday afternoon. At around 4:40 PM yesterday afternoon, Officers responded to the 2800 block of SW 40 St. on a suspicious person call. Officers made contact with two subjects- Patrick T. O’Sullivan (W/M 02/06/87), and Ishmael A. Uriah Seymour (B/M 02/26/87) in a driveway of a residence. The caller saw the black jeep pull suspiciously into their driveway, and the white male got out and rang her door bell and then looked around. The caller then called 911, as they didn't recognize the males or the vehicle. It should be noted that within the past two weeks, a home was burglarized in that neighborhood, in which suspects broke into one of their vehicles, and then used the garage door opener to enter the home, all while the victims slept inside. The suspects in that burglary arrived in the area in a black SUV matching O'Sullivan's Jeep. O'Sullivan and Seymour told officers that they were in the area when their kayak took on water and sank in a nearby canal. However, basic details that they relayed to offers conflicted. Officers located the kayak on the dock at the rear of a vacant house at 3226 SW 27th PL. Officers soon discovered there was absolutely no fishing gear in the kayak. However, they did find several pry bars, bolt cutters, a tool belt, a knife, screwdrivers, a rubber mallet, as well as a baseball bat and binoculars, 4 Locos alcohol cans, and miscellaneous clothing. Officers also found the rear slider of the vacant house standing open. After clearing the house, they found no one inside, however, Officers located severe damage to the interior wall of a bedroom on the Northeast corner of the home. Officers found the drywall had been haphazardly ripped out and the wiring and copper inside had been cut out as far back as possible. There were two overturned paint buckets adjacent to the wall that appeared as if they had been used for seats. Based on the totality of the circumstances and the inability of either O'Sullivan or Seymour to dispel the fears of Officers for the safety of persons and property in the area, both were placed under arrest for Loitering and Prowling and Possession of Burglary Tools. Cape Coral Police Department Investigative Services Bureau Property Detectives and Forensics personnel responded to the scene. During an inventory search of the vehicle prior to tow, a Smith & Wesson 9mm handgun was located under the right front passenger seat. A second Browning handgun had already been observed by Officers in plain view in the vehicle center console. Both handguns were collected by Forensics. The kayak and vacant residence were processed as well. Additional charges pending further investigation. 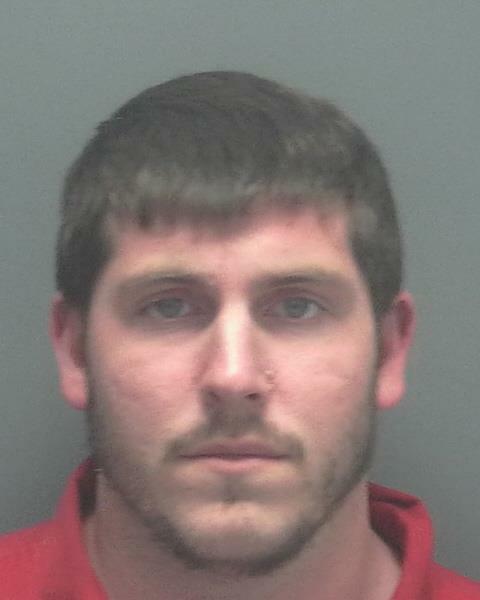 ARRESTED: Patrick T. O’Sullivan (W/M 02/06/87), of 2315 NW 12th Street, Cape Coral, FL. CHARGES: Loitering & Prowling and Possession of Burglary Tools. ARRESTED: Ishmael A. Uriah Seymour (B/M 02/26/87), of 2315 NW 12th Street, Cape Coral, FL.